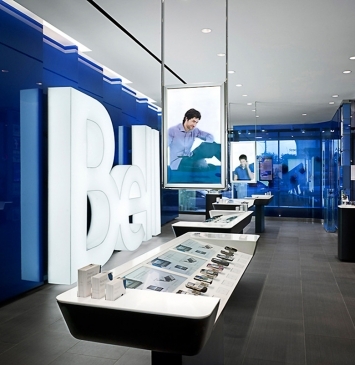 Rejuvenating the retail environment of one of Canada’s largest telecommunications service providers, designers created a store that reflects the approachable, clean line of the company brand. 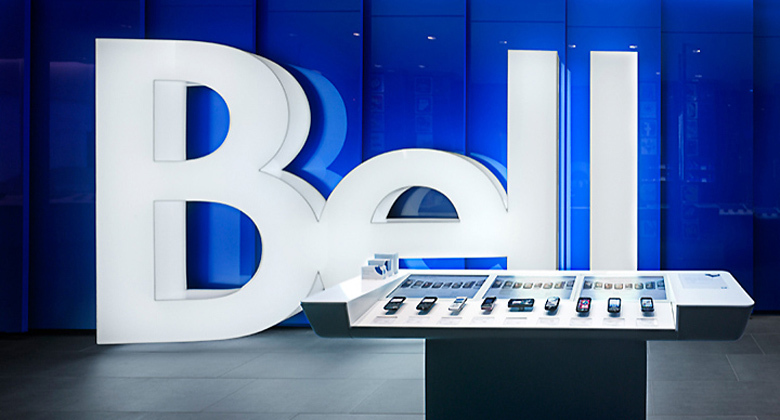 An oversized backlit Bell logo along the length of the store provides an instant visual connection to the brand. 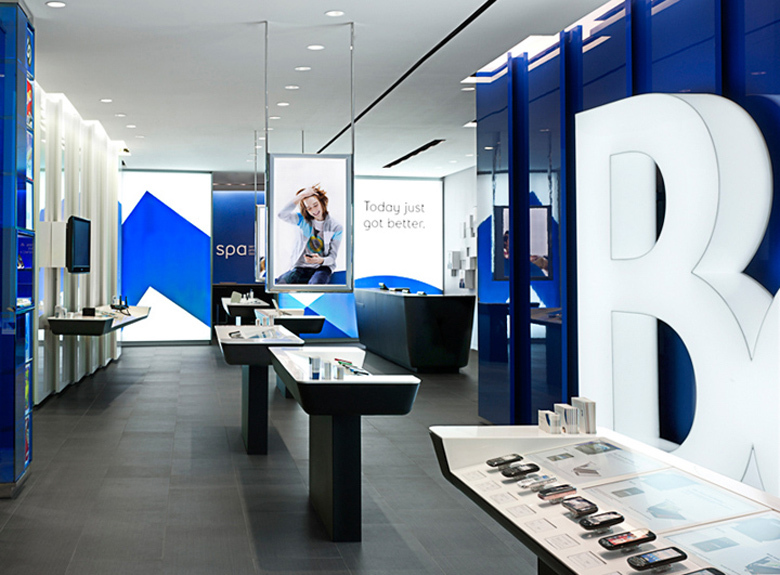 The entire space is warm with a color palette of blue, white, gray and black. 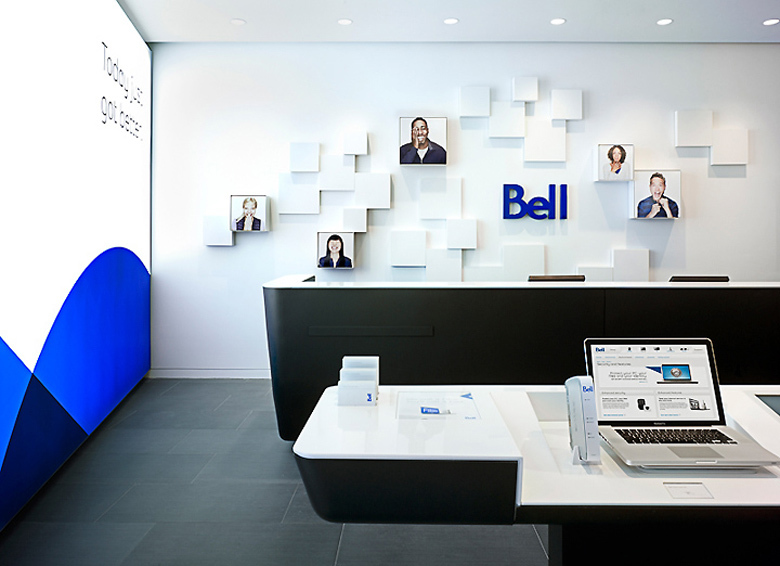 Behind the cash desk, a collage of floating white cubes and smiling faces adds to the warmth. 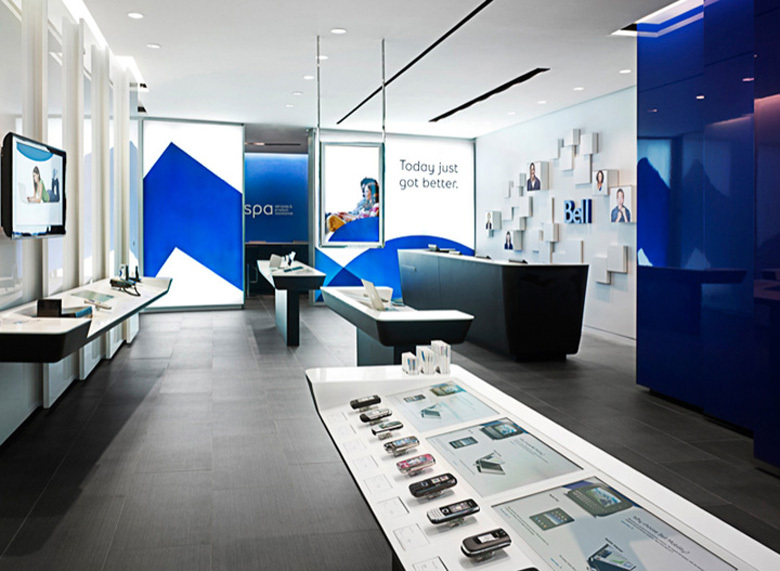 Crisp, white Corian display surfaces allow for typically black and silver products to pop. 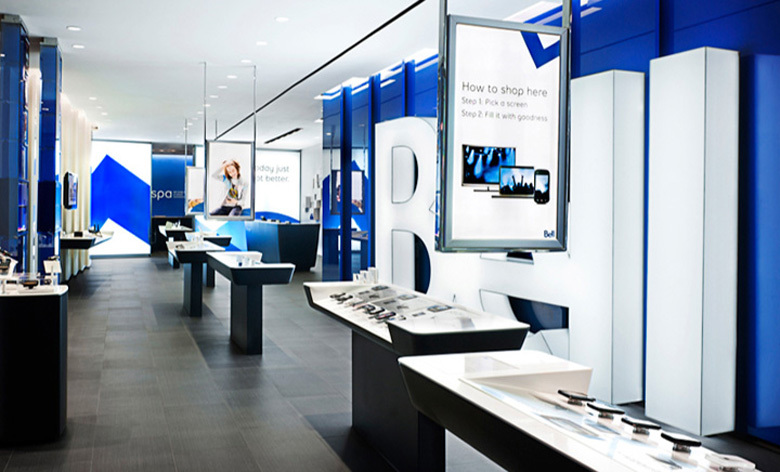 Fixtures are flexible to change with the new products, and touch-screen monitors with product information beside products encourages an interactive environment.